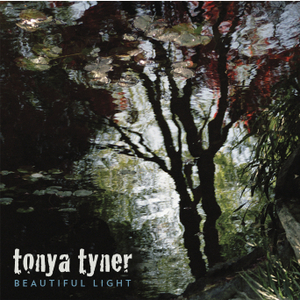 “Beautiful Light”, the latest offering from the much-travelled Tonya Tyner blows in off the road with a strong spiritual undercurrent that helps define the singer-songwriter’s style. While playing a traditional form of folkish country rock, her inspirational story-telling and sweet, pure voice will lead the listener through an album filled with many introspective tales. The most obvious vocal comparisons to me were Emmylou Harris, Jewel and even Susanna Hoffs from the Bangles. My favorite song would probably be the opener, “I Keep Trying”, with its self-deprecating humorous detailing of looking for the correct mate. It strikes up a dialogue and relationship with the listener, most of whom can probably identify with the process of finding the right person in their lives. She is backed by a full and able studio band throughout the album and they take her style to different places on some songs, like the upbeat “Uh Huh”, which flirts with an almost ’60s garage rock sound. Across all these stories coming from Tyner, she displays a sometimes sassy, but always confidential accessibility with the listener. Hoping for something new from her soon!